I always thought cranberries must be terrible …. that was until I had something other that the gelatinous stuff that comes in a can. You know, the stuff that gets sliced on the lines left by the can indentations and served with a fork. Now I love cranberries. 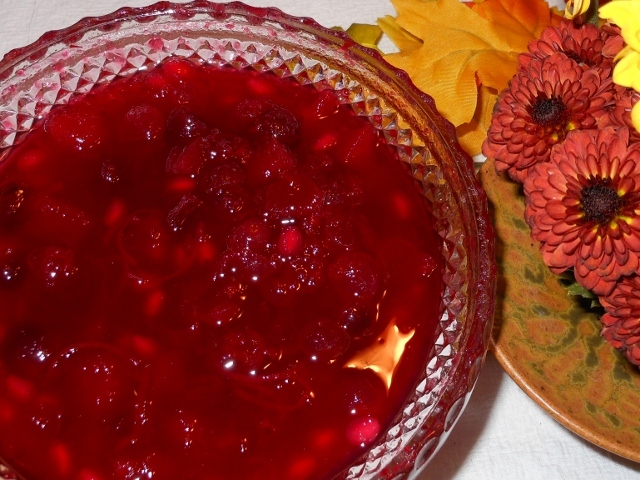 Homemade cranberries are so easy to do. It takes about 10 minutes of cooking time and can be made with any of your favorite fruits to compliment its flavor. Combine all ingredients and bring to a boil. Reduce heat; stirring occasionally for about 10 minutes. 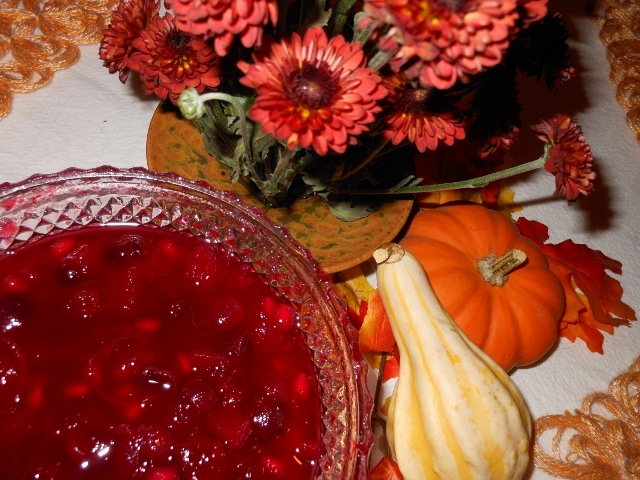 Cranberries will pop and everything will begin to meld together. Chill until ready to serve.